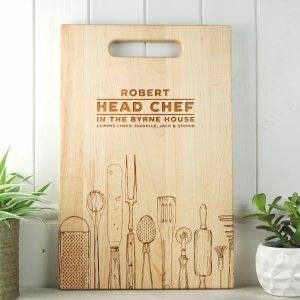 Show you care for all that creative cooking by giving a personalised “Head Chef” chopping board. 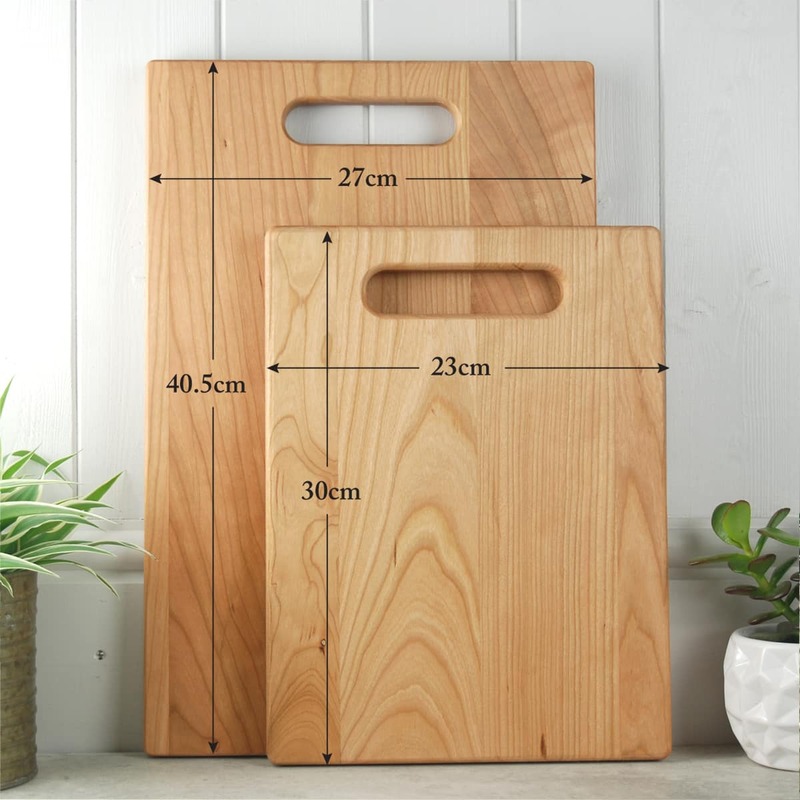 This beautiful chopping board has been handcrafted from beautiful Maple or Cherry wood. Engraved with hand drawn kitchen tools and chef’s name can be added. Additional Commis chef names can be added to specify who helps out (or not) in the kitchen! 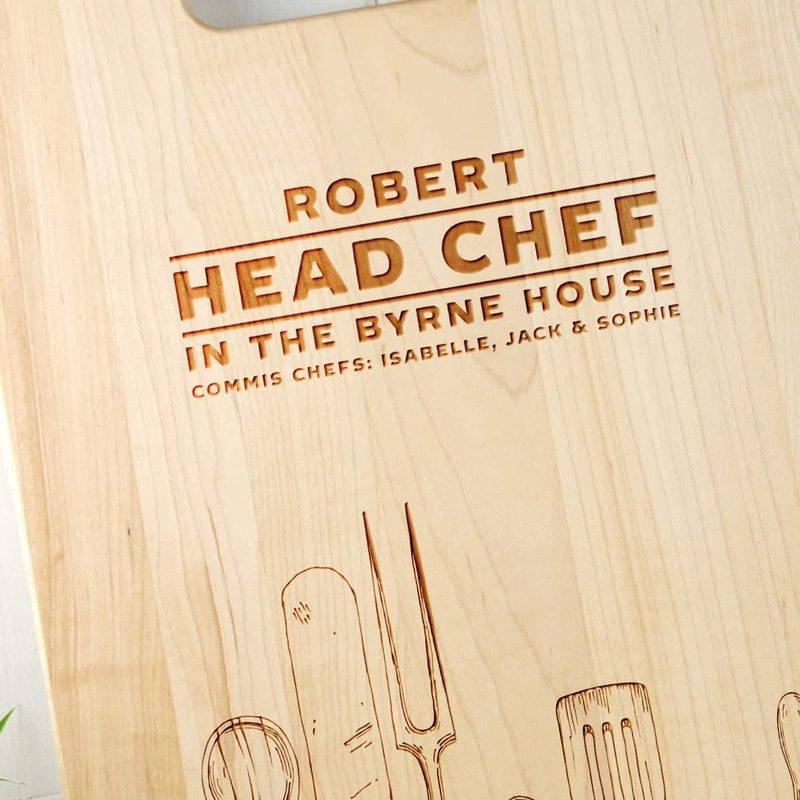 This piece can be displayed either in the kitchen or dining room and will hold up well to knife blades. We recommend using one side for chopping and cutting and the other for proud display. 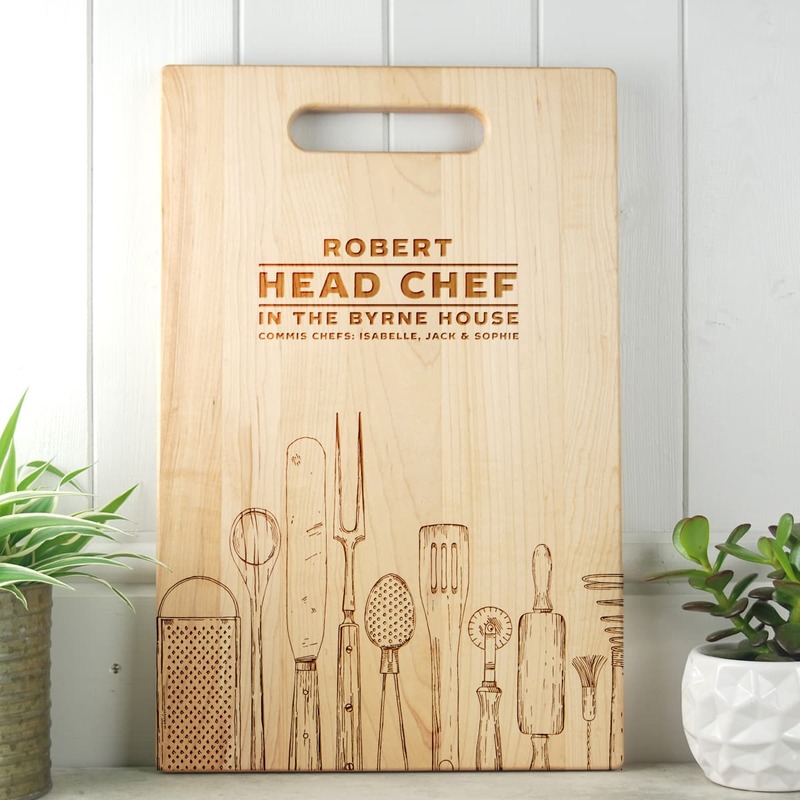 This personalised chopping board is guaranteed to be an object of conversation when seen in the kitchen!